As the owner or operator of a company, you know how frustrating it can be when something breaks. It is even more stressful when commercial garage doors that provide access to employees and machinery are damaged. It’s time to call in the experts when your business can lose profits due to a broken garage door. At Action Garage Door we will solve all of your Houston garage door repair problems the right way the first time. Our highly trained and professional repair team will fix the broken door and have it up and running again in no time. We take pride in hiring only the best repair techs that are professional, trained, and qualified to repair your commercial garage doors. We can repair just about every model of commercial doors and operators, and we always offer our customers the very best service in the industry. In fact, it is standard with our company to give every client free estimates and fast same day service. 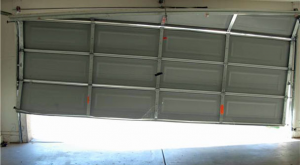 Stop hassling with broken commercial garage doors and contact the experts at Action Garage Door at (713) 589-5090. We guarantee your complete satisfaction by offering some of the most competitive pricing in the industry, 24-hour emergency service, and regular internet specials to help you save even more money. Give us a call today and we will prove to you how passionate we are about service, our customers, and repairing your broken commercial garage door.